The Foreign Body Retrieval Basket can facilitate easy removal of foreign bodies from the GI tract. The basket component of the tool features 4 wires made of rigid, stainless steel which exhibit a braided configuration. Clinicians can select from small, medium, and large sizing dimensions. The catheter component is made from Teflon®. The Foreign Body Retrieval Basket comes sterilized with Ethylene oxide. Foreign Body Retrieval Devices are designed to facilitate the easy removal of foreign bodies from the GI tract. The tool is comprised of a braided, a 4-wire hexagonal basket made with hardened, stainless steel wire, as well as a Teflon® catheter.Multiple Sizes From Which to ChooseBasket configurations come in small (30mm x 10mm), medium (45mm x 15mm), and large (60mm x 30mm). 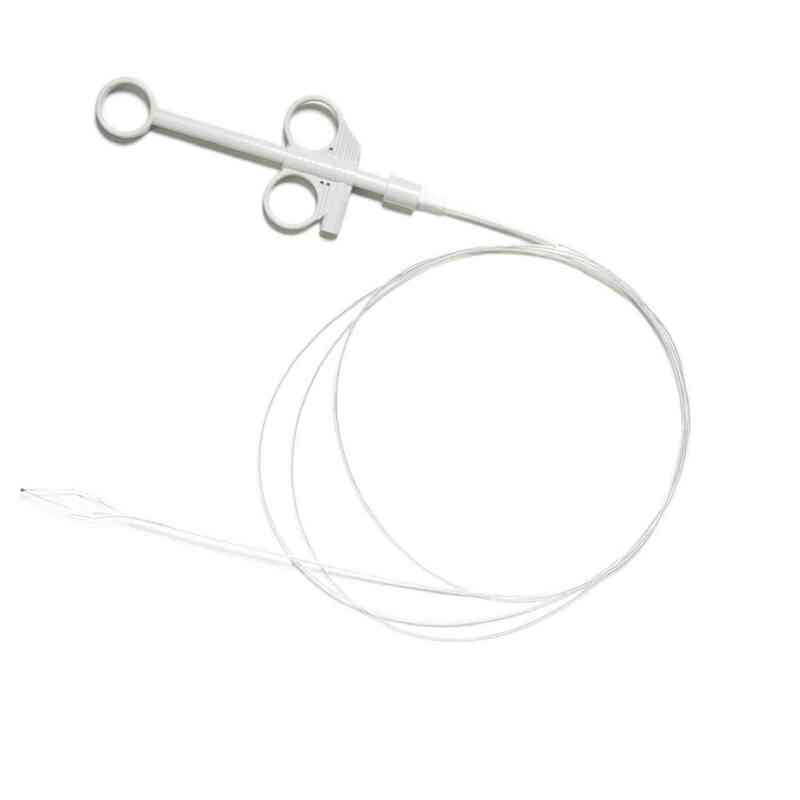 Catheters are available with diameters of either 1.8mm or 2.3mm.The foreign body retrieval device is sterilized using ethylene oxide.Do not use more than once. There are 5 foreign body retrieval baskets per case.